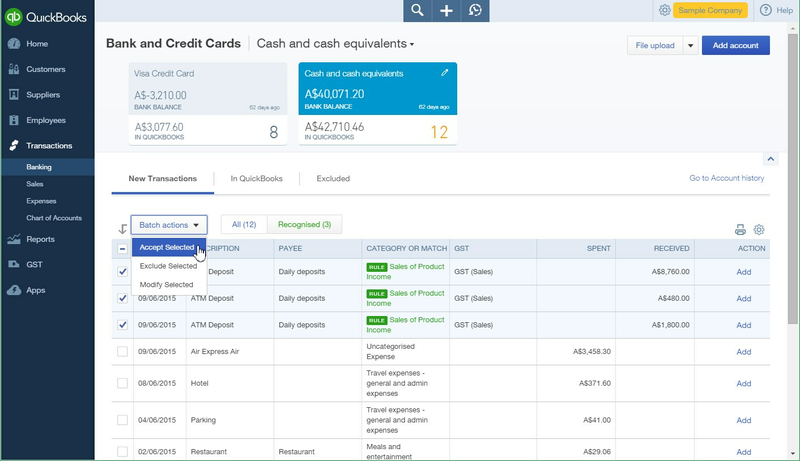 You have been using bank rules for a while, but are you using them effectively to get the most out of the bank rules and online banking feed features? The online banking feeds feature is quite simple to use. It intuitively remembers changes you have made for a certain supplier or customer. 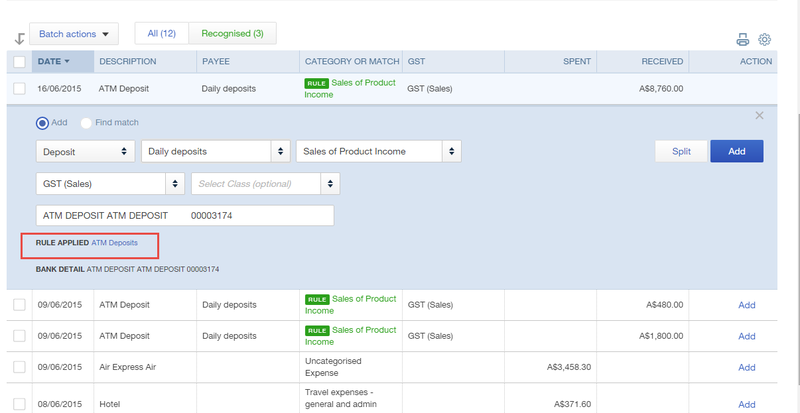 Based on previously chosen accounts and GST codes, it applies any new feeds to the previous chosen data. Now that’s great, but what if you have similar suppliers each month that you may need to change each time they come through? You may have to split the transaction to part business and part personal. This is where bank rules can be used to apply a much greater level of control. 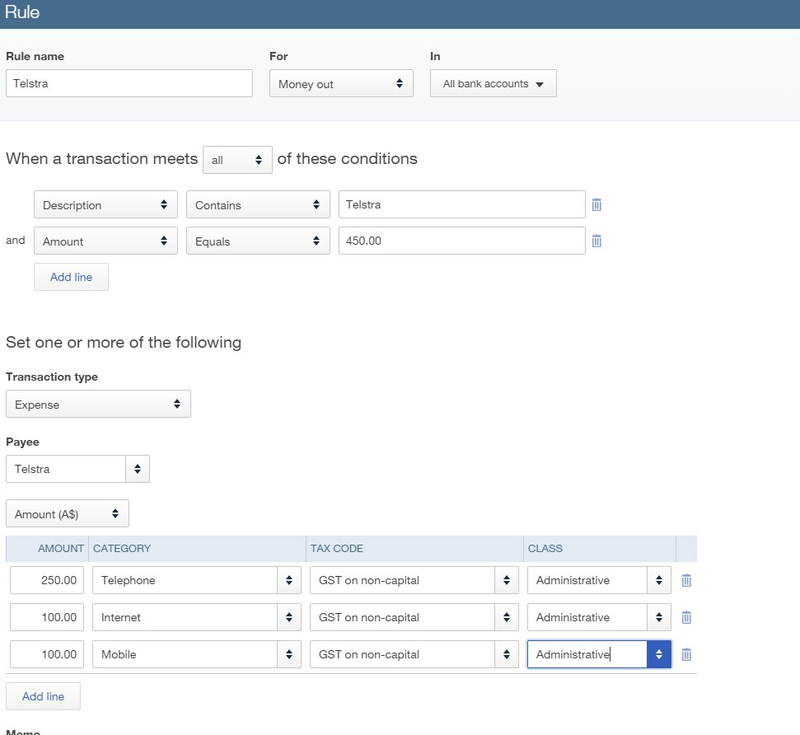 Left hand side navigation bar >Transactions > Banking > File upload drop down menu > Manage Rules. Let’s look at some examples and various set ups in bank rules. As you can see there are countless number of reasons why you would use Bank Rules. You can set up bank rules in your business to be able to allocate expenses and deposits more easily from your online banking feeds, saving a lot of time so you can concentrate on what you do best! 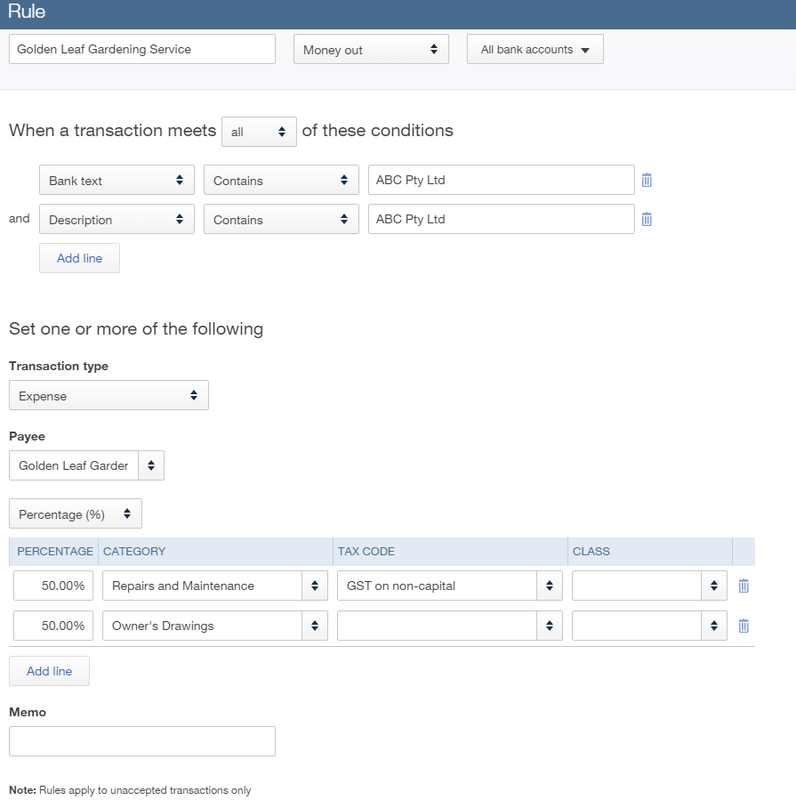 Once the bank rules are set up it is easy to capture the rule and add to QuickBooks Online. See the below example rule for ATM deposits to be posted to Sales of Product Income including GST. 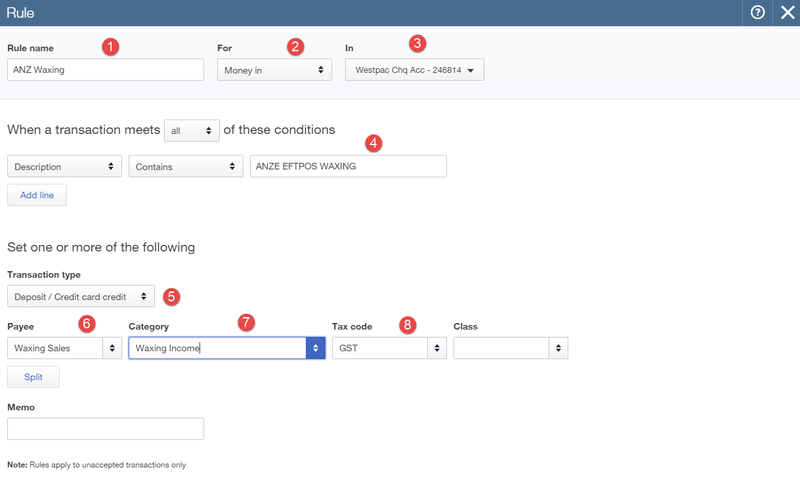 When the transaction comes through you can click on any transaction to open it and see more detail. This transaction has picked up the Rule Applied ATM Deposits. The ATM deposits transactions rule has been applied and it is as easy as ticking the transaction on the left hand side. 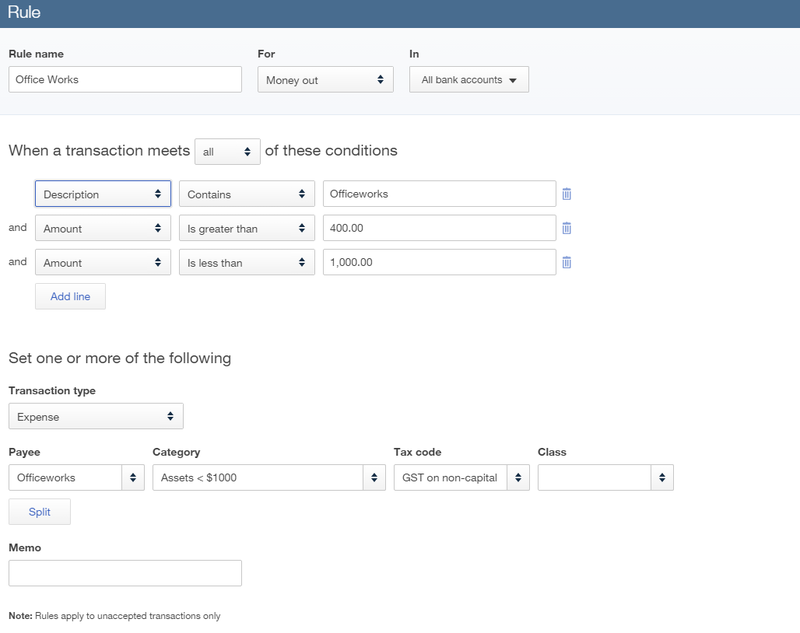 Click Batch Actions > Accept Selected and all three transactions can be added in one click. Bank Rules can help you manage your banking effectively, so take advantage of the rules feature and tailor them to suit your transactions as they come in. 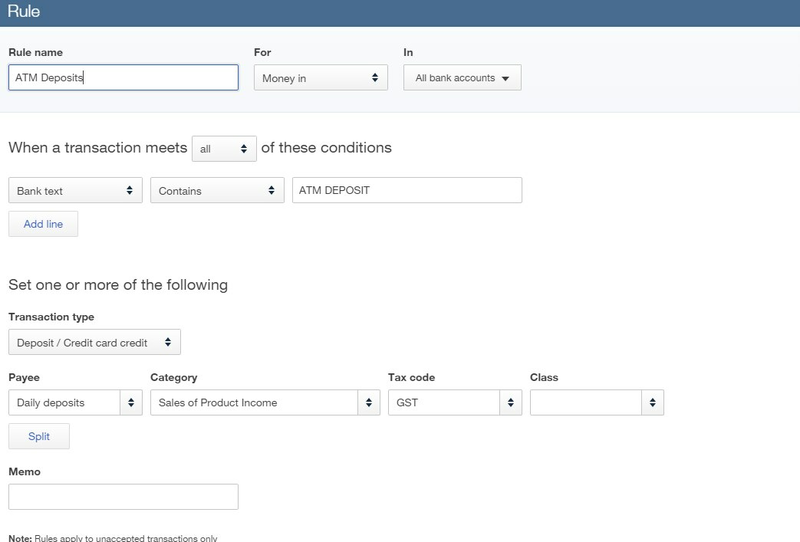 As the example above shows there are three deposits and only three clicks. These deposits are now waiting for the next step: bank reconciliations.